The Nissan Leaf has become an increasingly common sight on the streets of America’s cities—as have electric vehicles (EV) in general. Nissan was fairly ahead of the game when it introduced the Leaf in 2011, but the competition has quickly caught up. 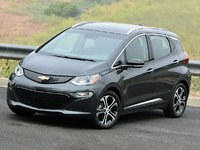 Especially with the new Chevrolet Bolt’s advertised range of 200-plus miles, the Leaf, which can barely match half that, is starting to feel a bit long in the tooth. And it’s due for an update, so 2017 may very well be the last year of this initial design. The Leaf hasn’t changed much since its debut (and hasn’t really needed to so far)—but for 2017, all trims receive the upgraded 30-kilowatt-hour (kWh) battery with 107 miles of range, previously available only for the two upper trims. The Leaf still comes in three trims: the base S starts at $30,680, the SV raises the price to $34,200, and the range-topping SL will set you back $36,790. That’s a lot for a small commuter car, but that’s the price of never having to stop at the gas station again. Plus, buying an EV will earn you tax incentives. Like most hatchbacks of its size and price, the Leaf comes exclusively with front-wheel drive (FWD). The powertrain similarities end there, of course, as the Leaf is outfitted with an 80-kilowatt (kW) electric motor backed by a 30-kWh lithium-ion battery pack underneath the cabin floor. The EPA rates the 2017 model at 112 MPGe, and its 107 miles of range is enough for almost any commute, but will still barely get you from New York to Philadelphia. Unlike the Tesla Model S, the Leaf is hardly a beast off the line. With a total output of just 107 hp and 187 lb-ft of torque, it takes almost 10 seconds for the Leaf to reach 60 mph, and it starts to run out of steam at anything much faster than highway speeds. Thanks to the immediately available torque from its electric motor and the lack of gears to change, however, it provides satisfying spurts of acceleration in traffic, which is precisely where the majority of Leaf owners will be driving. As for charging, SV and SL trims come with an upgraded onboard charger, which cuts charging time from 7 to 6 hours. 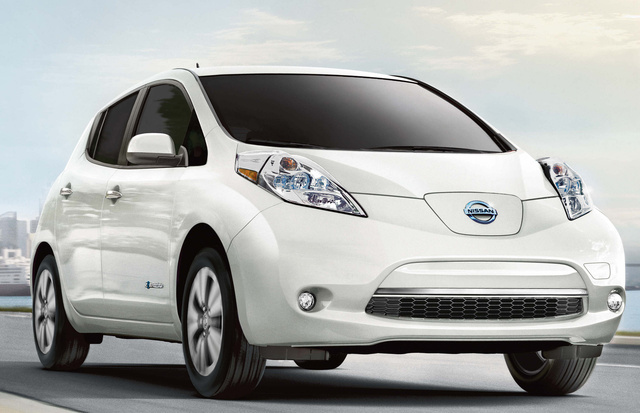 Nissan engineered the Leaf to ride and drive like a normal hatchback. It has been criticized for its slightly numb feel and lack of feedback, but for the most part, it’s a satisfactory driver. 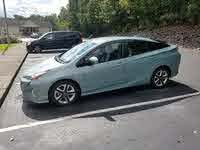 The Leaf is a tall, slab-sided car on low-rolling-resistance tires, so it’s sensitive to crosswinds on the highway. One plus, though, is that like other EVs, most of its heavy powertrain components sit low in the chassis, so it doesn’t have much body roll through corners. The Leaf’s external dimensions are those of a compact car, but its compact, well-placed powertrain components (and the absence of a gas tank and transmission) mean that it provides as much interior room as many larger cars. Unlike the quirky BMW i3, the Leaf’s interior looks pretty conventional, although it has been criticized for feeling a bit cheap given its sticker price. All Leaf trims come standard with heated front seats, while the SV gets a heated leather-wrapped steering wheel, a surround-view camera, and the option of upgrading to a Bose audio system. The range-topping SL trim further adds heated rear seats and leather upholstery. The base S trim comes with a 5-inch LCD screen, while the other two trims get a 7-inch touchscreen, the NissanConnect infotainment system, and a handy NissanConnect EV app that transmits operating information about the car, like charging status, to your smartphone. When the Nissan Leaf was introduced, it scored fairly high on safety tests, but standards have risen since then, and the Leaf has unfortunately not received any real upgrades in this department. The 2016 model earned a passable 4-star overall rating from the National Highway Traffic Safety Administration (NHTSA), but the Insurance Institute for Highway Safety (IIHS) gave the 2017 Leaf a Poor rating in its tough frontal small-overlap test. 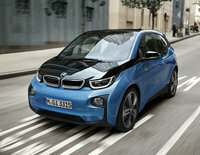 Admittedly, many cars don’t receive high scores in this relatively new category, but a Poor rating is far from ideal. As for equipment, the Leaf comes standard with a reversing camera, and because EVs are virtually silent, it emits a moderate sound when driving under 20 mph to alert pedestrians. Otherwise, the car is very quiet on the road thanks to ample sound-deadening material. 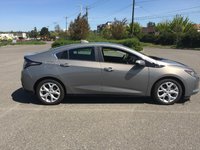 The Leaf hasn’t sold as well as Nissan had hoped, and low gas prices haven’t helped, but it is still undoubtedly responsible for bringing EVs into the mainstream—arguably more so than Tesla’s expensive Model S. Its general design may need a refresh, but the 2017 Leaf remains relevant in today’s market—particularly with the appeal of tax credits and no more trips to the gas station. What's your take on the 2017 Nissan Leaf? Users ranked 2017 Nissan Leaf against other cars which they drove/owned. Each ranking was based on 9 categories. Here is the summary of top rankings. Have you driven a 2017 Nissan Leaf? It is a 2017 Nissan LEAF that has a bug with the battery control software.